“Arizona State University offers outstanding academics, which is the primary criteria for our choice of schools for the book,” said Robert Franek, Princeton Review's senior vice president and publisher and author of "The Best 379 Colleges." In its profile of ASU, The Princeton Review praises the university for its outstanding academics, the quality of life provided to its students and its vast internship opportunities. The strength of ASU’s faculty is appealing to other professors, as well. Over the past several years, the university has hired hundreds of new faculty members, selected from among the best scholars around the world. Students say that ASU stands out for providing “targeted education” that allows them to tailor their educational programs to achieve their career and life goals. They note that Barrett, the Honors College, and the Walter Cronkite School of Journalism and Mass Communication stand out as notable programs in this area. This latest recognition by The Princeton Review is among several ASU has earned as one of the nation's, and the world's, top universities. Both the Center for World University Rankings and the Academic Ranking of World Universities rank ASU 88th in the world and 48th in the U.S.
U.S. News & World Report also ranks ASU in the top tier of national universities: 142nd among more than 1,500 four-year colleges and universities, and 2nd on its list of schools that are making the most promising and innovative changes in the areas of academics, faculty and student life. The Princeton Review is a Massachusetts-based education services company known for its test-prep courses, tutoring, books and other student resources. 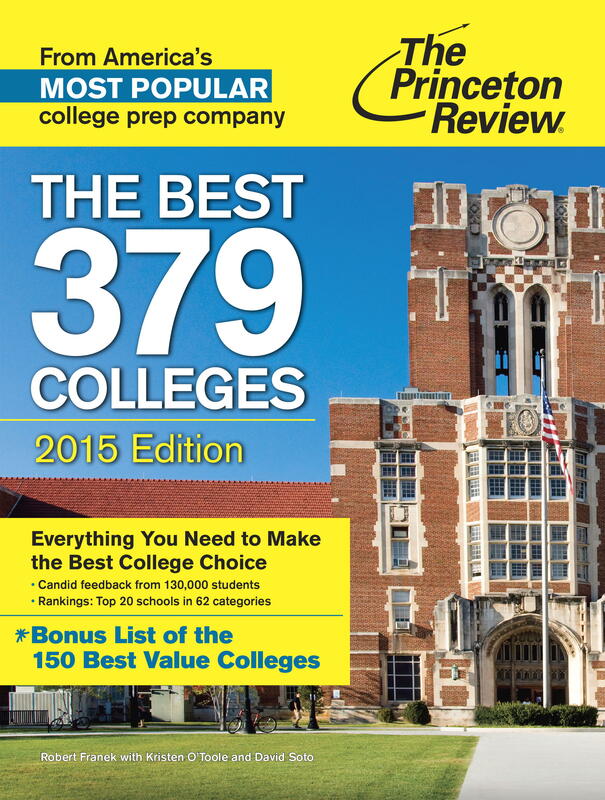 This year marks the 22nd edition of the Best Colleges guide. An Arizona State University alumnus has devised the largest catalog ever produced for stellar compositions, with some unexpected results. An Arizona State University alumna has devised the largest catalog ever produced for stellar compositions. Called the Hypatia Catalog, after one of the first female astronomers who lived ~350 AD in Alexandria, the work is critical to understanding the properties of stars, how they form, and possible connections with the formation and habitability of orbiting planets. And what she found from her work is that the compositions of nearby stars aren’t as uniform as once thought. The digital catalog is a compilation of spectroscopic abundance data from 84 literature sources for 50 elements across 3,058 stars in the solar neighborhood, within 500 lightyears of the Sun. It essentially lists the compositions of stars, but only stars that are like the Sun – or F-, G-, or K-type (the Sun is a G-type star) – that are relatively near to the Sun. “This catalog can hopefully be used to guide a better understanding of how the local neighborhood has evolved,” explains Natalie Hinkel, who graduated from ASU in 2012 with her doctorate in astrophysics and is now a postdoctoral fellow at San Francisco State University (SFSU). Putting together a catalog this large that is an accumulation of other people’s work required a substantial amount of background research – compiling the first 50 datasets took her about six months. In total, and with the help of her collaborators Frank Timmes, Patrick Young, Michael Pagano, and Maggie Turnbull, the project took about two years. 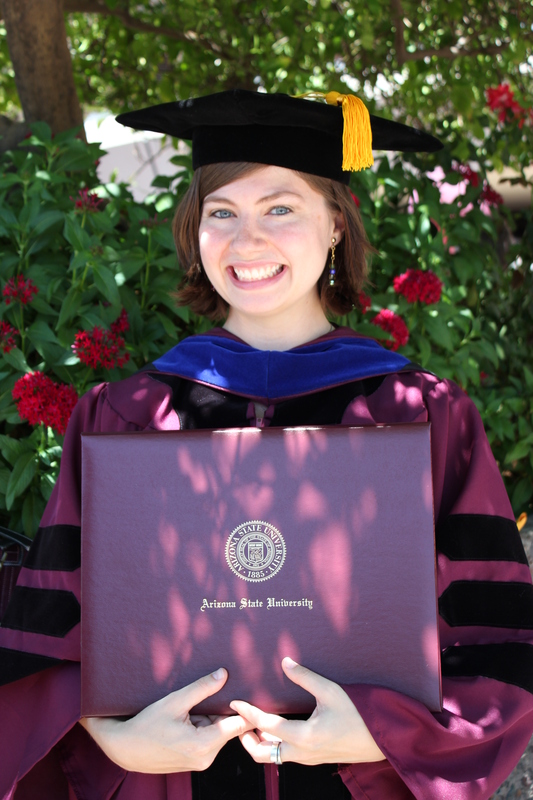 Hinkel started the project as her dissertation at ASU; however, a significant number of changes and revisions were made to the published manuscript while Hinkel was a postdoctoral researcher at San Francisco State University. Vizier, a database where researchers can post their astronomical data, was a starting point but since not everyone posts their data online, many times Hinkel had to go to individual papers and transcribe the data by hand. The Hypatia Catalog has a wide number of applications. The most obvious one for astronomers is looking at stars who host extrasolar planets, or exoplanets. “Since 1997, we’ve known that stars with giant, Jupiter-like planets have quite a bit of iron in them. This result has been reproduced dozens of times. However, with a catalog of this magnitude, we can now study literally all of the other elements measured in stars in great detail to see if there are relationships between the presence of a planet (gaseous or terrestrial) and the element abundances,” explains Hinkel. “Hypatia will help guide the future search for habitable planets as we learn to predict the properties of planets from the elemental makeup of the stars they orbit,” says ASU President’s Professor Ariel Anbar, who oversees the ASU Astrobiology Program. The work on the Hypatia Catalog was an outcome of the NASA Astrobiology Institute’s program at ASU. “Given all of the motion in the galaxy, this was a very unexpected result. But it’s also very exciting because of the huge number of implications for nearby planets, their compositions, and whether they could be habitable - by us or something similar to us,” says Hinkel. While constructing the catalog, Hinkel noticed that the stars in the solar neighborhood reveal unexpected compositions, which is discussed in the paper published in the September issue of the Astronomical Journal. The Sun is in the disk of the galaxy, where the vast majority of the Milky Way’s young stars are located. As the disk rotates, so too do the stars – both in the direction of the disk, as well as in smaller random motions. “You can think of this like a swarm of bees: While the swarm in general moves, the bees themselves are going in all different directions. Because of this motion within the disk, the stars are considered to be well mixed – like a tossed salad. Therefore, you don’t expect to see, for example, a whole tomato in your salad – or many stars that have similar abundances in close proximity to each other,” explains Hinkel. However, what Hinkel found is that the nearby ‘solar salad’ is comprised of lettuce at the bottom, chunks of tomato in the middle (where the middle of the galactic plane is), then lettuce again on top. In this case, the lettuce are stars that all have a high abundances of quite a few elements and the tomatoes are stars that have low abundances of those same elements. In other words, the solar neighborhood does not appear to be a mixed salad; it’s a layered salad. The full catalog will be available via Hinkel’s paper through the Astronomical Journal. The analyzed, reduced version will be made available through Vizier (http://vizier.u-strasbg.fr/viz-bin/VizieR), which anyone is free to access.